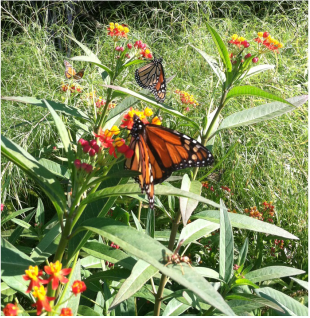 Wrightsville Beach is home to many native plants, animals, birds, and insects. Here's what we've seen hanging around the gardens and at beach. If you have a photo to add, please submit to kimwilt3@gmail.com with your name, the name of the plant/animal, and the date/location it was taken. 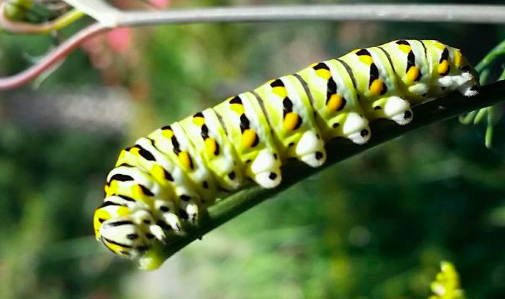 Caterpillars that will soon turn into Eastern Black Swallowtail Butterflies. Spotted at Harbor Way Gardens Aug. 2016. Photo by Elise Running, member HIGC. Monarch butterflies on Fennel. Spotted at Harbor Way Gardens Photo by HIGC member Elise Running. Wild oyster reefs filter our water.